SAN PEDRO — Enjoy a weekend walking the docks at the Southern California In-Water Boat Show where several boats will be making their West Coast debut and vessels of various sizes and models will be onsite to board and admire. The debut in-water boat show will cruise into Cabrillo Way Marina in Los Angeles Harbor on Sept. 22-25 bringing with it several new boats, vendors, yacht brokers and more. More than 200 vessels and 60-plus booths will be onsite along with trailerable boats, marine accessories, a food court and concessions. Seminars are also scheduled for the four-day show. Vessels ranging from the Cutwater 24 – a new fast cruiser model that sleeps six and still provides 300 mile range at 30 knots of cruising speed – to one of the main stays of the Ranger Tug product line: The Ranger 31 Command Bridge will be at the Long Beach Yacht Sales display at the show. Long Beach Yacht Sales will also bring the new 2017 Ranger 25 Luxury Edition to the show. The Ranger 25 is the first of its kind in California and is a must-see for boat show guests. Denison Yachts will present the new 2017 Dufour 512 GL – a spacious yacht offering absolute comfort and innovative equipment – which is the latest version of the award winning Dufour 500. The Dufour 412 GL and 382 GL will also be at the Denison Yacht’s display. You will want to make sure to scope out the new Bali 4.3 Catamaran at the Cruising Yachts display and the Ocean Alexander Evolution 70 at the Alexander Marine USA display as both boats make their West Coast debut at the show. The new Carver 37, Hunter 39 and Jeanneau 42 are also must sees while at the show. Show-goers can come aboard vessels of all models and sizes to see the latest and greatest features and amenities that today’s top boat builders have to offer including the Azimut 60 Fly, Galeon 445 HTS, the Aquila44 and the Azimut 53 Magellano at the MarineMax display. Schock Boats will have the Grady-White 33 on display and Inland Boat Center will showcase the Qwest Pro Fish 20 and Defiance 29. The Beneteau Power and Sail lineup will be presented by NAOS Yachts and South Coast Yachts, which will include the 41.1, Sense 50, Beneteau 60, 48, 38, first 35 carbon, first 25., the Swift Trawler 30, Swift Trawler 44, Gran Turismo 40, Gran Turismo 46 and Gran Turismo 49. Long Beach Yacht Sales will also bring the Cutwater 24, 28 and 30 to the show along with the Ranger 23, 25, 27, 29 and 31. Guests will also want to stop at the scores of exhibitor booths where innovative products and services that make owning and operating a big boat more enjoyable will be on display. New and experienced boaters won’t want to miss the chance to sharpen their skills at seminars presented by experts and educators. Topics include “Cruising Catalina,” presented by Long Beach Yacht Sales owner Ray Jones and Mike Gunning of Electric Yachts of Southern California will lead two seminars: “Power management and the Green Sailor,” and “It’s 2016 – diesel or electric AKA what I have learned after converting 400 boats to electric.” The Mexico Tourism Board will present “Visit Mexico by Private Boat.” Seminars will be held in the Seminar Area in Tent #2. A complete seminar schedule can be found at socalboatshow.com/things-to-do/seminars/. 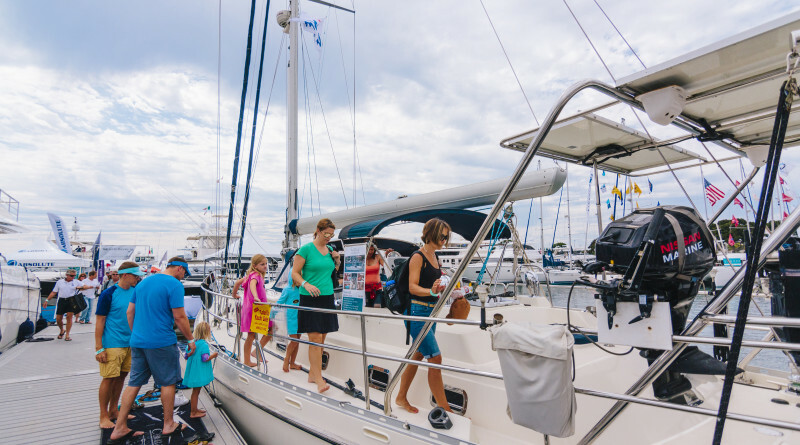 SailTime and the American Sailing Association will provide the instructional “Learn to Sail Hands-on Skills Training,” seminar multiple times each day of the show. Guests will spend 60 minutes on the water in this course designed for beginners. Register on socalboatshow.com or sailtime.com. American Sailing Association will also unveil its new Sailing Challenge App at the show. Stop by the gaming stations to try out the app where you can compete and test your sailing skills. Youngsters will enjoy a variety of activities at the Kids Zone while adults won’t want to miss the craft beers being poured by Anchor Brewing and the San Pedro Brewing Company at the Anchors and Ales Craft Beer Garden. Food trucks will also roll in to serve up some epic dishes ranging from tacos to rice balls and much more. Show hours are noon-7 p.m., Sept. 22; 10 a.m.-7 p.m., Sept. 23-24; 10 a.m.-5 p.m., Sept. 25. Admission: $15 for adults; children 12 and younger, free; $5 discount with military ID. Visit socalboatshow.com for more information. Cabrillo Way Marina is located at 2293 Miner St., San Pedro. If you take the Harbor Boulevard exit off the 110 freeway; Harbor becomes Miner Street and dead ends at the boat show. Free parking and continuous free shuttle service will be provided from the Berth 46 parking lot located at the bitter end f Miner Street. Additional parking is available on a first come-first served basis at lots throughout the marina area. Please pay close attention to posted parking restrictions, access, and time limits. For more information visit socalboatshow.com.